If you have been wondering about the mysteries of the hand knit sock, wonder no longer! 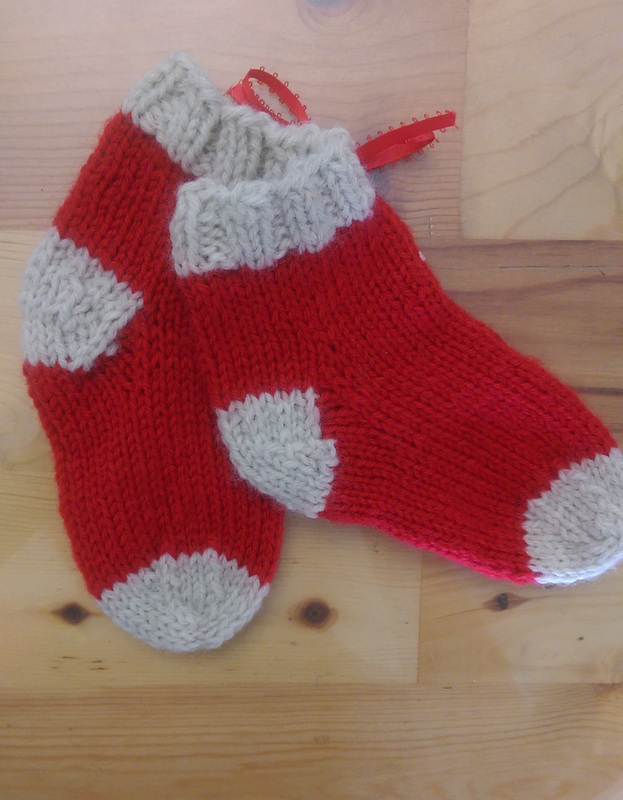 We have a new class coming up explaining everything you need to know about knitting your first pair of socks, or mastering the basics if you are having any trouble with sock making. We will be doing a traditional cuff down sock with a heel flap on double pointed needles. It will be in worsted weight over 3 Saturdays so it knits up fast and you have a finished sock made especially by you at the end of the class. You should have knit with double pointed needles before this class, for example finishing the top of a hat. Come in a few days before class and we would be happy to show you these basics. Please sign up in advance, space is limited on a first come first serve basis.